KIEV, Ukraine -- NATO has recently updated its website to mention Ukraine as one of four aspirant countries. Ironically, several top Ukrainian officials jumped at the chance to portray this as a major breakthrough in getting closer to membership of the North Atlantic Treaty Organisation. In reality, nothing has changed. The only thing that NATO has done is to recognise Ukraine’s current intention to join the Alliance, just as it did, on at least three other occasions, in 2002, 2005 and 2008 and what, for obvious reasons, was omitted during the Yanukovych presidency. Paradoxically, the Kremlin has done more to bring Ukraine closer to NATO then its national leaders. The number of ordinary Ukrainians ready to embrace the Alliance has been growing ever since Russia annexed the Crimea and fabricated conflict in eastern Ukraine. Recent polls show that public support has more than doubled from 20 per cent in 2013. Today, it seems that Ukraine has, once and for all, defined its future in the sphere of security. The Alliance has mobilised substantial resources to support Ukraine in its defence against Russian aggression and it is logical that Ukraine now sees its future lies squarely with NATO. However, as an on-again, off-again NATO-Ukraine relationship has shown, ambition is not enough, we must deliver. Let’s face it: The odds of Ukraine joining NATO any time soon are slim. The Alliance will think twice before accepting a country fighting a war with Russia and having parts of its territory annexed. Thus, instead of pushing western allies to grant something they are not ready to, Ukraine should focus on doing its homework (that is to fulfil a series of military, political, economic, and legal criteria) and be prepared for when a window of opportunity emerges. Here is a to-do list the Ukrainian leadership should follow in order not to add to the string of opportunities it has already missed. Ukraine should focus on practical and achievable tasks and avoid setting unrealistic targets that it cannot meet. President Petro Poroshenko has already made several missteps by proclaiming Ukraine’s MAP aspiration, reaching NATO membership criteria by 2020, as well as plans to hold a referendum on NATO membership. The record of Ukraine’s requests to join Membership Action Plan (MAP) and the Alliance’s struggle to respond should serve as a cautionary tale. Ukraine’s obsession with the MAP has crowded out other practical initiatives designed to bring the country closer to Euro-Atlantic standards. When it comes to reaching the membership criteria, odds are poor on Kiev turning around in the next three years. Fulfilling a less ambitious plan will help Ukrainian leadership win more credit both at home and abroad. Holding a NATO membership referendum is yet another presidential initiative that could easily backfire. After launching a visa-free regime with EU, Mr Poroshenko now feels that the time is right to play the ‘NATO card’ to help him be re-elected for a second term. It is unclear whether holding a referendum will help him gain more voters, but it certainly will not bring the country any closer to reaching NATO standards. Plus, the referendum itself is not an effective lever since it will not have much sway over NATO’s position. If one looks more closely into the history of NATO-Ukraine relations, it is apparent that since 2008 (that is, following the notorious Bucharest summit) Ukraine was de facto invited to join ‘MAP’ when, in a smart diplomatic manoeuvre, western allies established the Annual National Programmme (ANP) – a programme, which is an integral part of the MAP. Lacking the ‘magic name’, this powerful new tool has been flagrantly underused. The original name of the ANP signed by then President Yushchenko was The Annual National Programme 2009 of preparing Ukraine for NATO membership (which for obvious reasons changed in 2010-2014) and has not yet been renewed. The ANP for 2018 was signed by the president on March 28. In other words, Kiev has been pushing for entry into NATO without properly using the mechanisms already at its disposal to deliver on the reforms needed to achieve that goal. The support and training that Kiev received in the course of war with Russia has improved Ukraine’s ability to provide for its own security and bolstered NATO’s image as a credible partner. Ukraine’s efforts to deliver on reforms, on the other hand, have not built a good reputation for the country among NATO members. 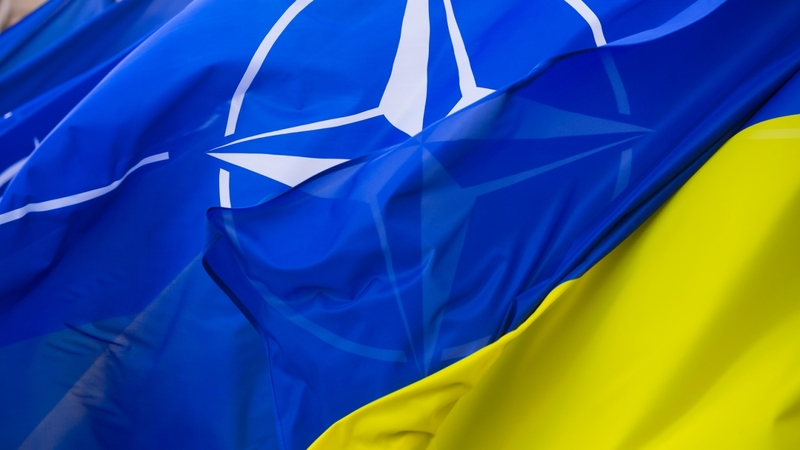 To maintain solidarity with NATO, Ukraine should show that it is fully committed, not only in words but also in deeds, to following principles and values, which are explicit in the preamble to the Washington Treaty. The country’s leaders have to grasp that reforms required along this road make sense irrespective of whether and when the country joins the alliance. NATO membership is not the end goal, but rather a powerful national security tool. Since its membership prospects are bleak for the coming future, Ukraine should adapt a policy model for a ‘transitionary period’, especially in relations with neighbouring countries and NATO. It should define its national strategy as a step-by-step integration into Euro-Atlantic structures by increasing bilateral, regional, and international cooperation (under the aegis of the NATO and EU). This strategy will help build solidarity with EU and NATO member states, enhance military interoperability and improve the country’s defence capability as well as allowing Ukraine to make a convincing membership bid when the opportunity arises. Sweden or Finland provide useful models that Ukraine could emulate for its national security policy. In other words, he who lasts wins.